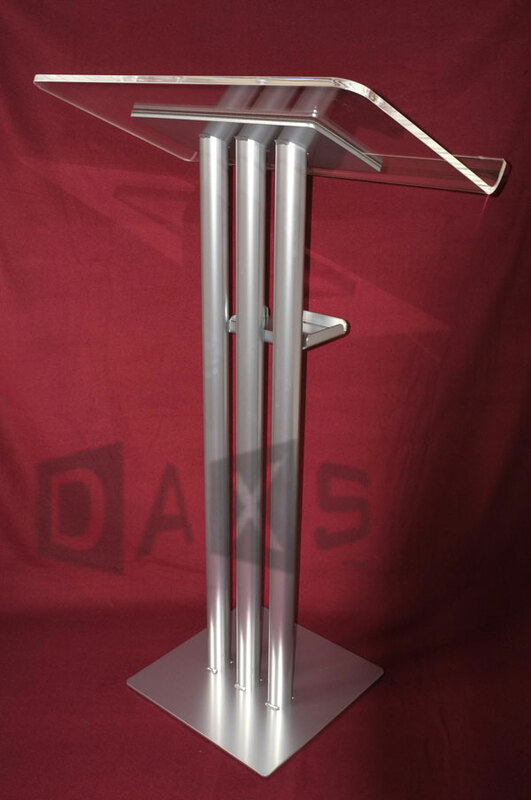 Simple and cost effective free-standing banner stands, suitable for a range of flexible and rigid printed materials. Retractable or pull-up roller banner stands are generally the easiest and quickest to use. 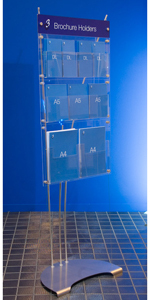 The graphic is protected in the base of the stand, and the latest models feature interchangeable cassettes - ideal if you have a stands dispersed in branches / offices that regularly need updating. Stylish and classic timeless designs together with premium laminated or dye-sub printed graphics, provide quality display solutions that look great in galleries, showrooms and receptions, as well as exhibitions. 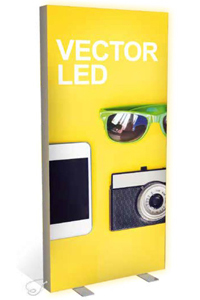 Our banner stands are either inkjet printed to a high quality opaque polyester film and finished with a crystal (scratch resistent) seal, or printed with solvent inks to PVC and other materials which do not need sealing. For fabrics (cotton, mesh, voile etc), banners are printed using the latest high resolution digital dye sublimation and finished with heat cut edges. Prices are quoted for the more popular stand sizes (dimensions refer to the visible graphic size), and are based on receiving 'print ready' artwork in a suitable format. We're happy to liaise with your designer / agency, or we'd be pleased to quote for providing design and origination services as required.